Chikku Colour Embroidery Multi Work Heavy Net Designer Party Wear Salwar Kameez . Buy Online Shopping Salwar Kameez At -Australia. Chikku Colour Embroidery Multi Work Heavy Net Designer Party Wear Salwar Kameez . 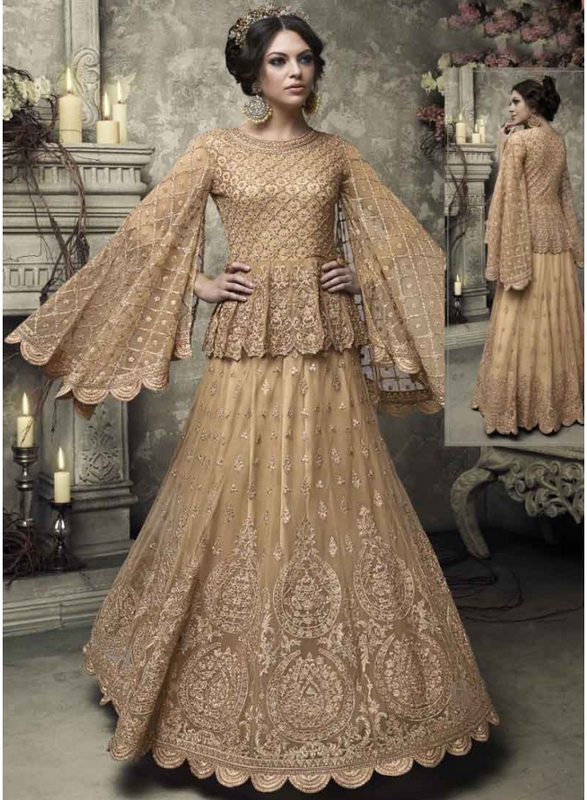 This Salwar Kameez Design By Heavy Multi Embroidery Work , Btooi Work And Cut Embroidery Work Different Type Silve Anarkali Type Salwar Kameez . This Salwar Kameez Design By Different Type of Fabric Like Gown :- Heavy Net , Inner :- Heavy satin , Bottom :- Santoon , Dupatta :- Nazmin Chiffon .